READY TO SPLASH AND GO!! If you are in the market for an express cruiser, look no further than this 1999 Maxum 3000 SCR, just reduced to $29,900 (offers encouraged). This vessel is located in Calverton, New York and is in great condition. She is also equipped with twin Mercruiser engines. Reason for selling is does not use. At POP Yachts, we will always provide you with a TRUE representation of every vessel we market. We encourage all buyers to schedule a survey for an independent analysis. Any offer to purchase is ALWAYS subject to satisfactory survey results. 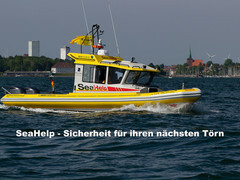 Contact us for a free (website in contact data) report on this vessel. We pay upfront for a report on every vessel possible, and we provide this peace of mind to our buyers at no charge and with no commitment. All you have to do is ask!